Greg Whalen, Mosman’s Steakhouse, and Point Man Antelope Valley are proud to say the dinner was a huge success! We are grateful for the incredible response to this event. Rat Pack Ricky and Cold River shared their musical talent with our audience. There was plenty of delicious food and lots of raffle prizes. Everyone who attended enjoyed the event. 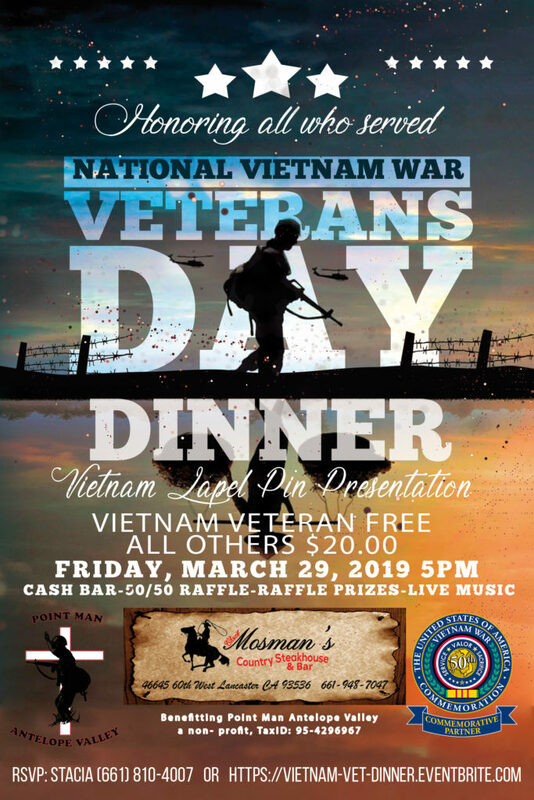 Thank you to our sponsors, guests, and especially our Vietnam Veterans. Check out the pictures! 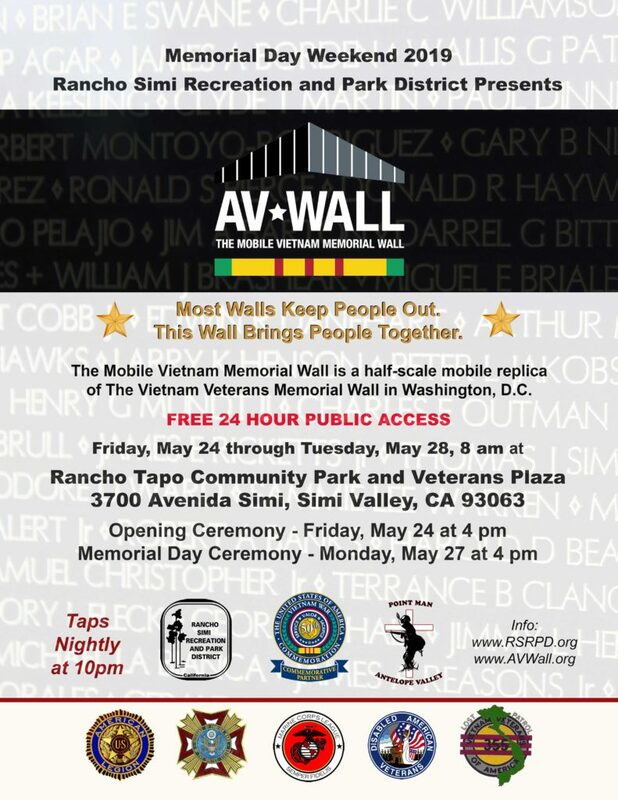 Rancho Simi Recreation and Park District will host The Mobile Vietnam Memorial Wall over Memorial Day Weekend. It has been five years since the Wall displayed in Simi Valley and we are looking forward to an emotional reunion. Display opens Friday, May 24 and will close on Tuesday, May 28 at 8:00am. Venue: Rancho Tapo Community Park, 3700 Avenida Simi. Donate to Point Man Antelope Valley as you shop! When you shop on Amazon.com, use this link AMAZONSMILE PMAV, and Point Man Antelope Valley – AV Wall will receive a dontation. This is a fun and easy way to support our mission.